larger & larger! God is doing amazing things!!!! I am Pastor Brantley. I went to Seminary at Louisiana Baptist University and New Orleans Baptist Theological Seminary. I am a Bi-Vocational Pastor ( Part time) I am Married with 4 children. I love to spread the Gospel of Jesus Christ! I do weddings, Funerals and Preach at Churches as invited and fill in for Pastors when they are away from their Church’s. God has blessed us to the point where “Part time” is not sufficient anymore. I preach straight from the Manifested Word of God and draw a crowd and they are getting bigger! Our Church or Movement has grown to the point where we are raising funds to buy a small Church to continue our Worship, Nursing Home ministry, Prison Ministry and Children’s outreach. So many people go out and build brand new Churches from scratch which is such a waist of generous peoples money when there are vacant buildings and Churches everywhere. 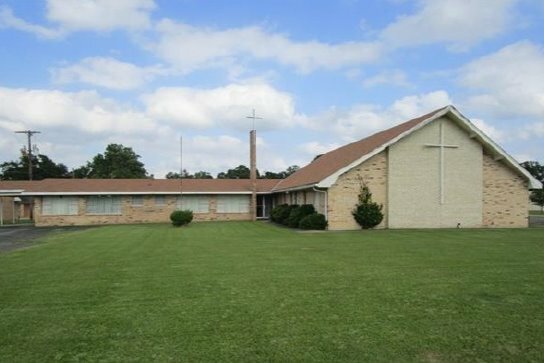 We have a goal to buy an existing vacant Church and in by doing so, saving thousands of dollars and allowing me to be a “Full Time Pastor” and our own place to worship. Our Church is and will be focused on only the Manifested Word of God and NOT politics, division, race or outdated rules from 200 years ago that does nothing but divide and destroy us and the message of Christ. We are raising money to buy an existing Church with NO debt. YOU CAN MAKE THIS HAPPEN! This is not much money if Christians stand together and donate a couple dollars each and spread this message to ALL their friends to participate. I know God has called me to preach his word and with you and your friends help I know this is within reach and will be a SURE SIGN of what we need to do! Here are some sermons on you tube I have done and what you will be promoting! Pastor Roger Brantley. This one has audio problems but only at beginning. I am planting the seed, I believe it will grow, This will happen and yes, You can be a part of a miracle!!! Thank you and I look forward to our friendship! We have planted the seed, I believe it will grow, This will happen and yes, You can be a part of a miracle!! !